The Office of the Attorney General of Colombia said in a press release that Steven Douglas Skinner organized a drug trafficking network called Morfhox with Daniel “El Loco” Barrera. Skinner recruited drug mules to smuggle cocaine to Canada, the United States and Europe. Skinner had a five-year run from justice. 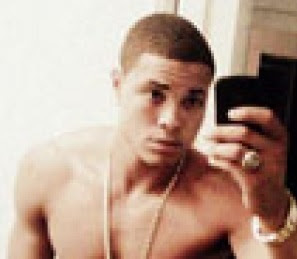 The former MMA fighter is charged with second-degree murder in the death of Stacey Adams, 20, in April 2011. Two days after the murder, Skinner was on the run. Skinner is named as a member of an illegal drug organization that police dubbed the Belanger Group. 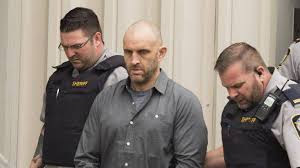 Police say it was headed by Ryan Belanger who trafficked drugs in Nova Scotia, Ontario and British Columbia. The group imported large quantities of cocaine from Mexico, and Skinner's contacts included associates of the Hells Angels. While Mexican police investigated the death of major B.C. drug dealer Thomas Gisby, a search revealed Skinner was living in Mexico under the name Steve Shannon. Steve Shannon is one of at least four aliases Skinner had been using. It's believed Skinner had been living in Venezuela since February 2015. There, he'd been using the names Paul Segura Fitzgerald and Shane Sampson Martinez. When the law finally caught up with him, he called himself James Alexander O'Neill Pirela. 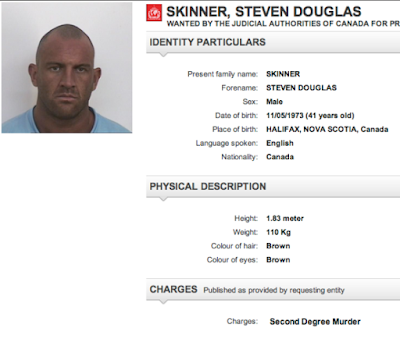 Skinner was on Interpol's most-wanted list — considered armed, dangerous and violent. 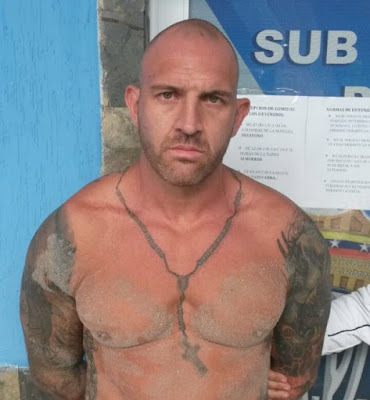 Since his capture on the Venezuelan beach he tried to escape from prison by bribing guards and was actively involved in drug trafficking. On October 24, 2016, a Venezuelan court granted the extradition of Skinner to Canada. He was returned in June 2017. His case illustrates how time-consuming the extradition process can be.